To teach English in Greece you need an official teaching certificate recognized by the country of Greece. To teach English in Greece you also need a teaching permit, and a resident permit. Prospective employers usually prefer EU citizenship, require college education, and prefer applicants to be present for the interview process. 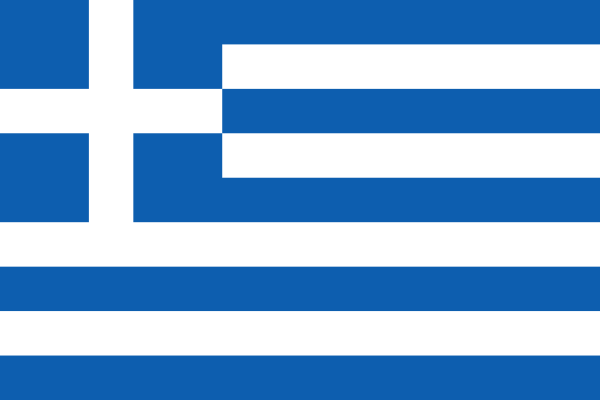 Greece achieved independence from the Ottoman Empire in 1829. During the second half of the 19th century and the first half of the 20th century, it gradually added neighboring islands and territories, most with Greek-speaking populations. In World War II, Greece was first invaded by Italy (1940) and subsequently occupied by Greece (1941-44); fighting endured in a protracted civil war between supporters of the king and Communist rebels. Following the latter's defeat in 1949, Greece joined NATO in 1952. A military dictatorship, which in 1967 suspended many political liberties and forced the king to flee the country, lasted seven years. The 1974 democratic elections and a referendum created a parliamentary republic and abolished the monarchy. In 1981 Greece joined the EC (now the EU); it became the 12th member of the euro zone in 2001. Greece or Hellas, officially the Hellenic Republi, is a country in south-eastern Europe, situated on the southern end of the Balkan peninsula. It is bordered by Bulgaria, the Former Yugoslav Republic of Macedonia and Albania to the north and by Turkey to the east. The Aegean Sea lies to the east of mainland Greece while the Ionian Sea lies to the west. Both parts of the eastern Mediterranean basin, feature a vast number of islands. Greece lies at the juncture of Europe, Asia, and Africa. It is heir to the heritages of classical Greece, the Byzantine Empire, and nearly four centuries of Ottoman rule. Regarded as the cradle of western civilization and being the birthplace of democracy, Western philosophy, the Olympic Games, western literature, political science, major scientific principles as well as drama including both tragedy and comedy, Greece has a particularly long and eventful history and a cultural heritage considerably influential in Europe, Northern Africa and the Middle East. Today, Greece is a developed country, member of the European Union since 1981 and a member of the Eurozone since 2001. Athens, Thessaloniki, Piraeus and Patra are the country's major cities. The Samosa Esperantista Societa advocated the teaching of the language throughout the island and also published a journal, entitled ?Greklingva Esperantano? (The Greek-speaking Esperantist). TESOL Certification for Teaching English to Speakers of other Languages in Greece.